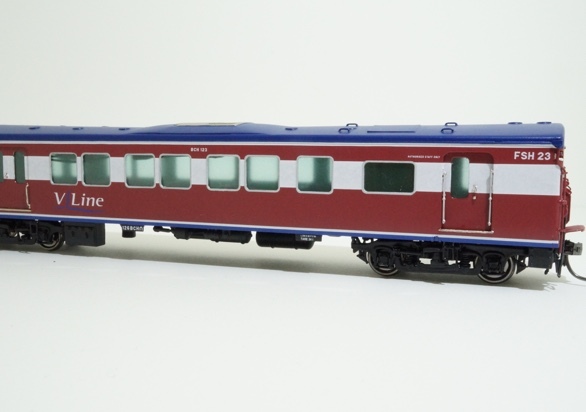 Trainbuilder is pleased to announce our passenger car project for 2013. We have selected two prototypes that cover nearly 60 years of railway operations in Victoria. 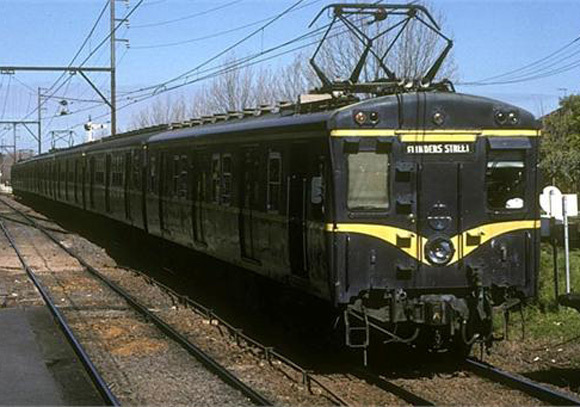 The blue 'Harris ' trains were introduced on the Melbourne suburban system in 1956 and were the first carriages made with steel bodies on the metropolitan network. They operated until 1988 with 420 being built for the Victorian Railways. There were three types of cars built. The 'M' motor, 'T' trailer and 'BT' terminal trailer were organised into four car M-T-T-M 'block' or three car BT-T-M 'unit' trains that could be combined to make a seven car set during peak operating times. Originally there were both first and second class seats available, and from 1966 end doors and gangways between carriages were added. Six 75 foot trailers were introduced in 1971. 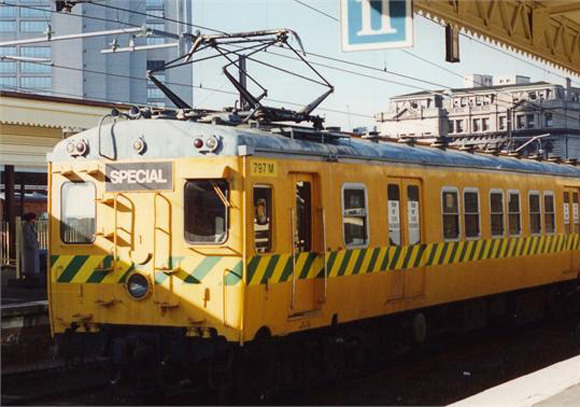 In 1989 two 'M' cars were allocated to a rail greasing train. As most Harris cars were built wth asbestos insulation they were removed from service and scrapped, however 59 carriages including the six long trailers were converted for use as loco hauled "H" type cars. These were redesigned for short haul interurban services on the newly created V/Line statewide system. The asbestos was removed, air conditioning was installed in the roof of each car and toilets were added to most interiors. Head-end power was added and they were used behind "N" Class, "A" Class and "P" Class diesels throughout the system. The cars were designated as "BH" economy class, '"BTH" economy class with terminal connections, "BCH"economy class with conductor's compartment and "MTH" to be used as a trailer for the Tulloch Diesel Rail Car. 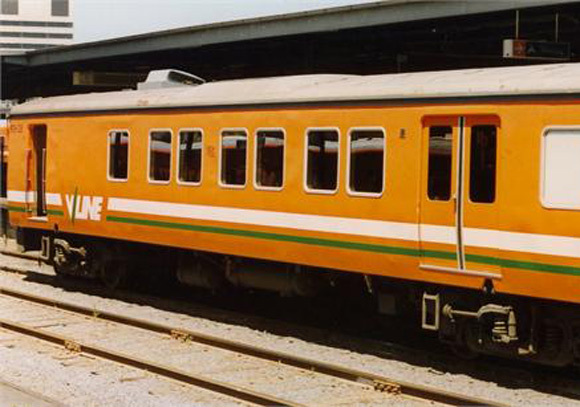 Initially they were organised into three car "SH" sets and by the late 1980s increased patronage called for an additional ten cars to be converted into "BIH" cars and sets to be expanded to four car "FSH" sets. Later "VSH" sets contained five carriages. Photos are for illustrative purposes only. Photo of blue Harris train courtesy of Mark Bau. Trainbuilder will be offering three and four car "Harris" sets with powered "M" units, two long trailers and a two car Rail Greasing Train. We also will produce several "H" type loco hauled sets in four V/Line liveries. Our cars will be constructed in brass and feature prototypical paint and lettering. They will also have fully detailed and lit interiors.